Aloha Friday: Which eBook Should I Get? Last week, I found out that I won a Kindle. Not only a Kindle, but I was getting a free eBook (up to a $25 value). This put me in a quandary. I used to be a voracious reader. I’d go into the library, get out a dozen books and read them before they were due back. In recent years, though, I haven’t done much reading like this. Nowadays, I still consume tons of information, but I get it from blogs, online articles, web comics, Wikipedia, and the like instead of a series of big, thick books. One of the first ideas to pop into my mind was a cookbook. One of the first to spring to mind was The Happy Herbivore Cookbook. However, the Kindle version of this book costs a mere $4.49. It seems like a waste to use an “up to a $25 value” offer on a book that costs under five bucks. I also looked at 1,000 Vegan Recipes or 1,000 Vegetarian Recipes. These were closer to the price point, but I decided that I have a ton of cookbooks already. Next, I stumbled on The Grand Design by Stephen Hawking. As a physics geek, I loved A Brief History of Time, so perhaps I’d enjoy this. Then again, maybe I’d be better off with a science fiction story such as Earth Abides by George Stewart. My final option, which many people have recommended to B, was The Hunger Games Trilogy by Suzanne Collins. 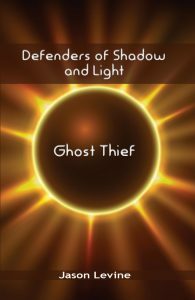 This is supposed to be a really good series and being able to pick up all three books for the Kindle in one purchase seems nice. 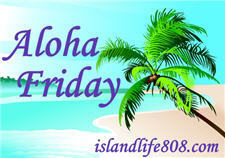 My Aloha Friday question for today is: What book would you recommend that I get? Feel free to either pick one of the ones listed above or a completely different book. I’m a fan of thrillers and mysteries – so I’d go with something from that genre. Congrats on winning the Kindle! I am jealous 🙂 I would definitely recommend The Hunger Games trilogy. I read the whole series in 4 days, it was that good! I think I need to dig up a copy of Earth Abides and re-read it. It was one of my faves from the books we read in high school. I have to vote for The Hunger Games Trilogy. It’s one of my favorite series. Those seems to be good books. Ultimately you’ll be the one reading it. Congrats on winning a Kindle. I’ve almost 100% decided to get one. I’d go with the trilogy if you think you’d like it. I would always suggest a series “bundle”, well worth the money. I would suggest the “Virgin River” series by Robyn Carr! They are in bundles. I just finished The Hunger games trilogy and LOVED it! I finished all 3 books in one week and am now reading it again!